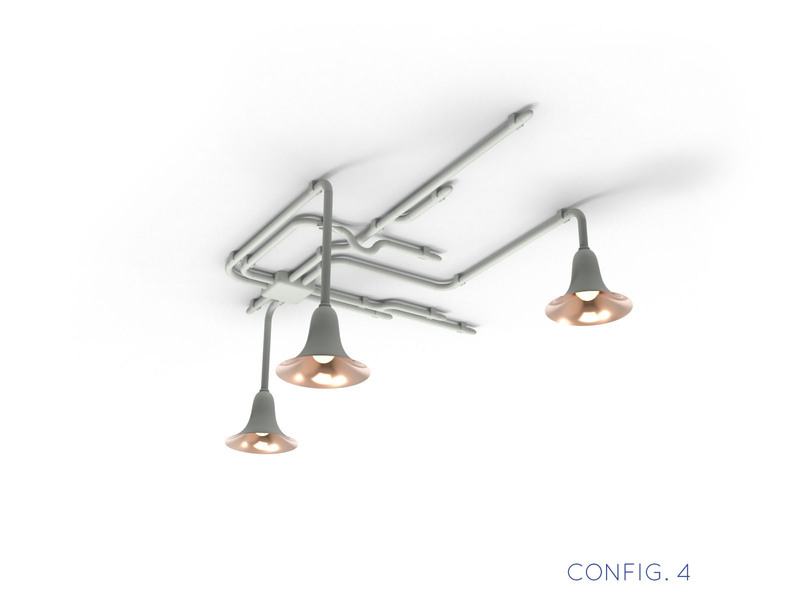 Light Forest is a highly adaptable wall and ceiling lamp system that can be configured in multiple ways, and which can vary in expression from organic and whimsical, to geometric and austere. 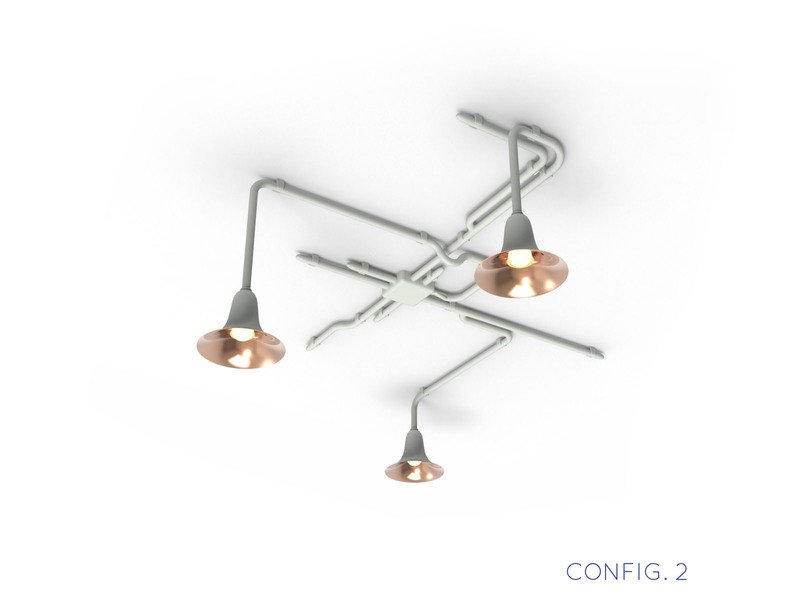 Light Forest comes in two versions: a ceiling option which can be assembled in four different combinations, and a wall version that can be assembled in four combinations. 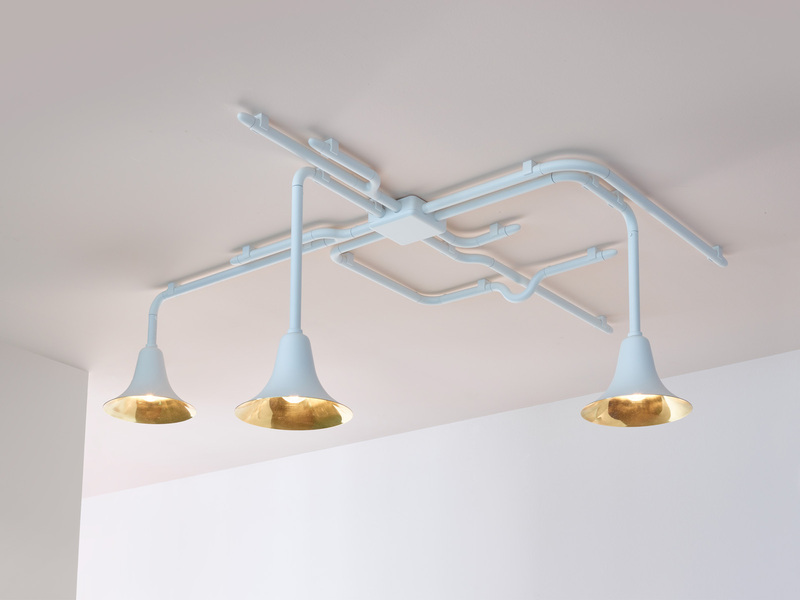 Its branches are made from extruded aluminium tubes — strong and light — and the lampshades or flowers are spun from copper or brass, which lends a warm glow to the light source. The entire system is coated with a matte lacquer, giving it an aesthetic that can be both industrial and organic, both austere and whimsical, depending on its configuration. A configuration of the ceiling version is shown on the first picture, please note you also see pictures of custom made configurations. Examples of a custom light forest you will find in our gallery. Information on custom light forest configurations or projects contact us here. The package will be delivered with the installation manual. It’s also possible to let us install the Light Forest, costs depend on distance. You can contact us for a quotation about installation costs. For information on installation see our manual. Light Forest is a highly adaptable wall and ceiling lamp system that can be configured in multiple ways, and which can vary in expression from organic and whimsical, to geometric and austere. 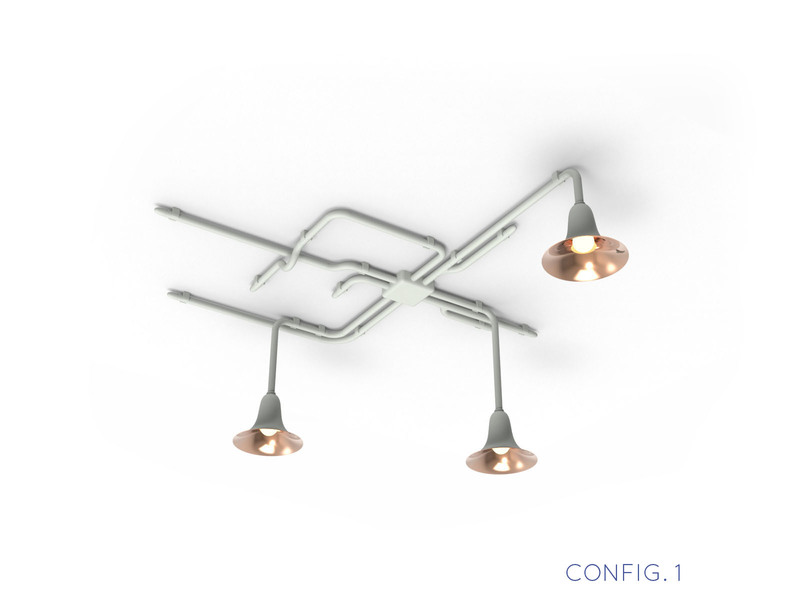 Light Forest comes in two versions: a ceiling option which can be assembled in four different combinations, and a wall version that can be assembled in four combinations. 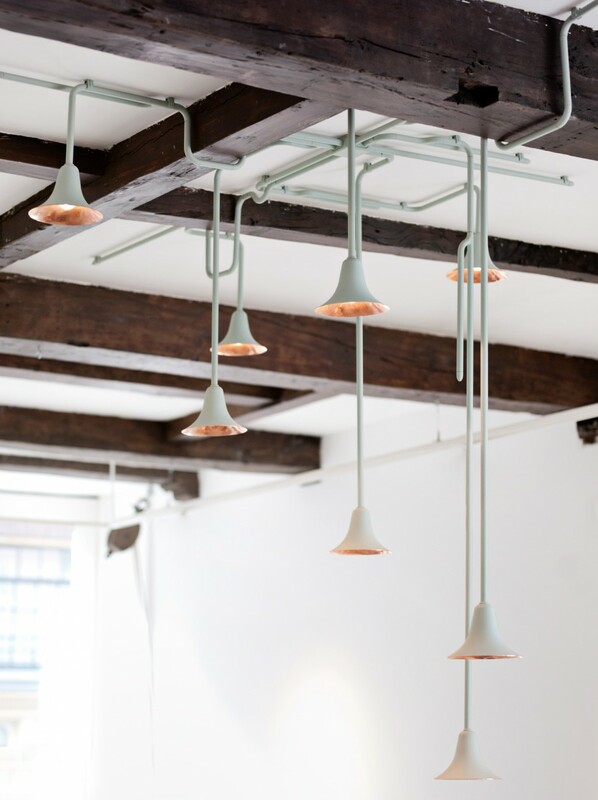 Its branches are made from extruded aluminium tubes — strong and light — and the lampshades or flowers are spun from copper or brass, which lends a warm glow to the light source. The entire system is coated with a matte lacquer, giving it an aesthetic that can be both industrial and organic, both austere and whimsical, depending on its configuration. A configuration of the wall version is shown on the first picture, please note you also see pictures of custom made configurations. Design Ontwerpduo Material Lacquered copper or brass, aluminium and ABS Colour Slightly textured matt forest green or matt soft white Dimensions Configuration 1: H: 119cm x W: 67cm x D: 32cm Configuration 2: H: 92cm x W: 148cm x D: 32cm Configuration 3: H: 104cm x W: 72cm x D: 32cm Configuration 4: H: 86cm x W: 102cm x D: 32cm Production The Netherlands Lead time On stock Delivery Flatpack with instructions to assemble Technical Spec. 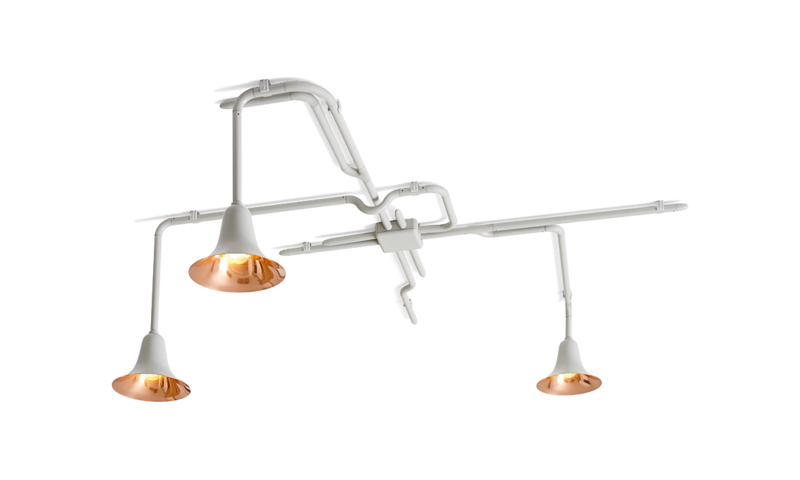 E27 Max 35 Watt Also available: Light forest ceiling Examples of a custom light forest you will find in our gallery. Information on custom light forest configurations or projects contact us here. The package will be delivered with the installation manual. It's also possible to let us install the Light forest, costs depend on distance. You can contact us for a quotation about installation costs. For information on installation see our manual. 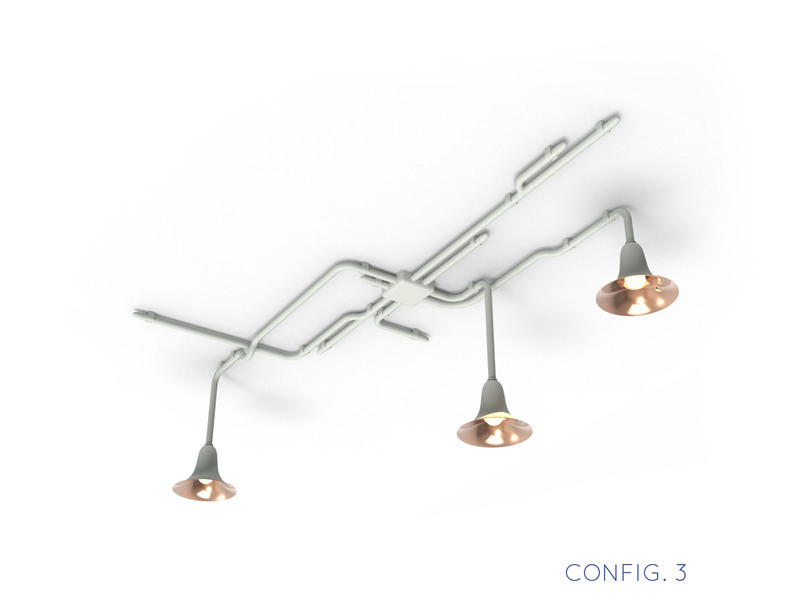 Add a Led filament light bulb to your order.